Wyatt’s mom has been busy pounding away! 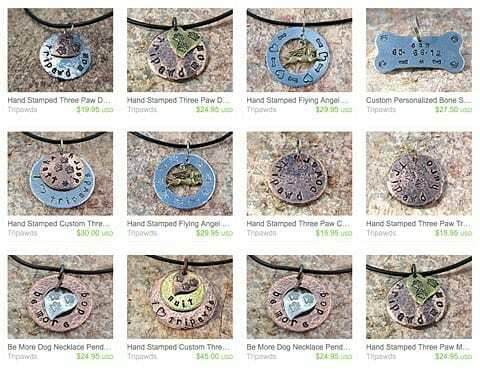 Have you seen all the new hand stamped metal jewelry she’s been working on lately? Brass, copper, aluminum, oh my! 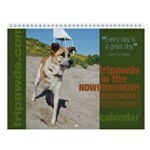 Choose from dog collar charms or texturized pendants with with that handmade touch. 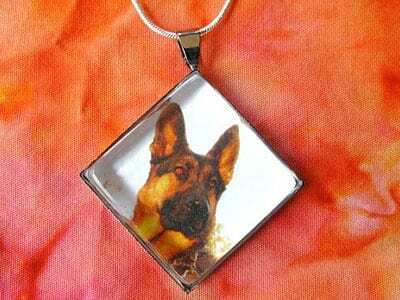 Customize memorial pendants with your dog’s name or choose from dog themed necklaces perfect for any pet lover. 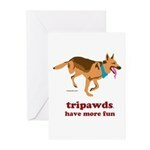 If you haven’t visited the Tripawds Etsy store recently, we’re always adding new items. 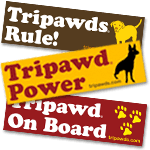 And there are plenty of fun, colorful glass charm necklaces still available featuring the favorite three-paw or Tripawd silhouette designs. And don’t forget about the custom pet photo pendants for that perfect tribute to always keep your three legged friend close to your heart!